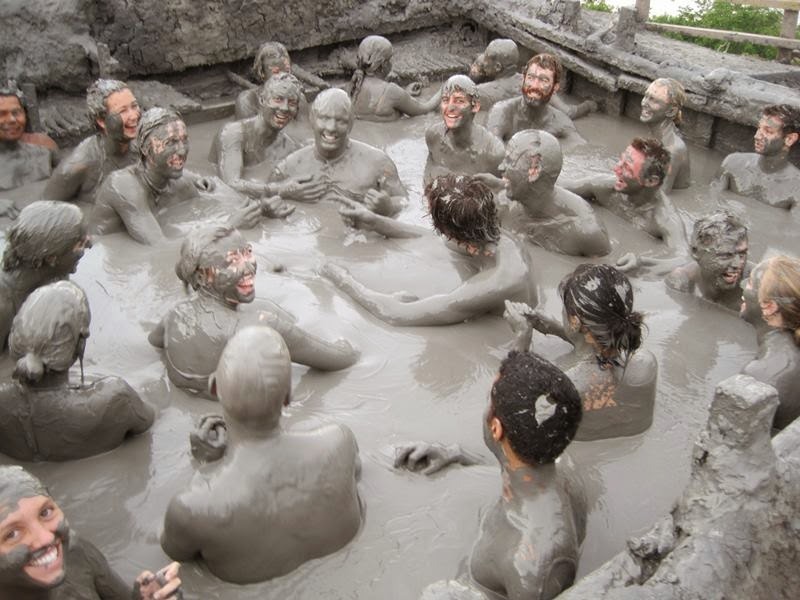 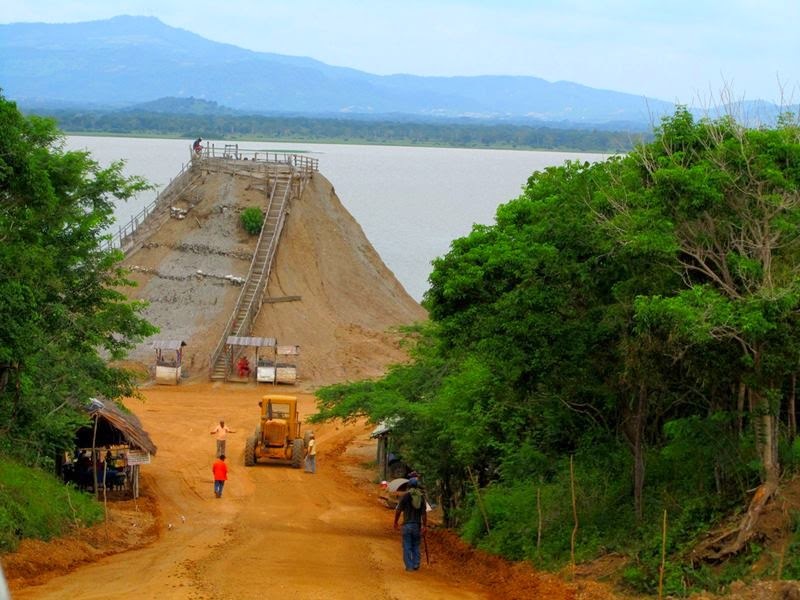 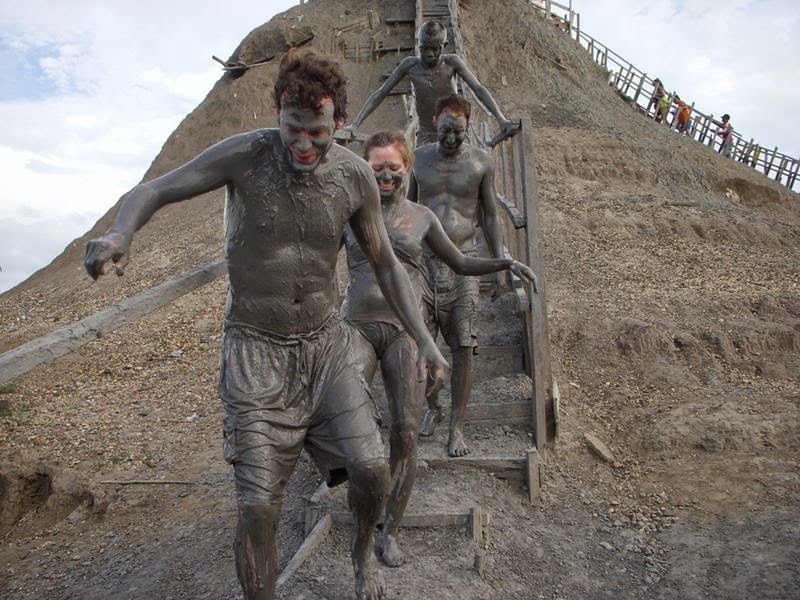 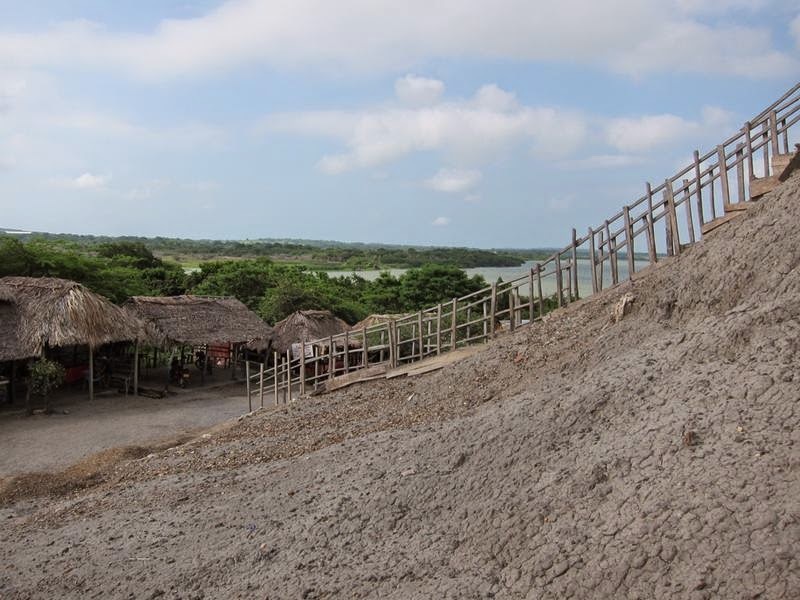 El Totumo Mud Volcano is a mud volcano located in Santa Catalina of northern Colombia. 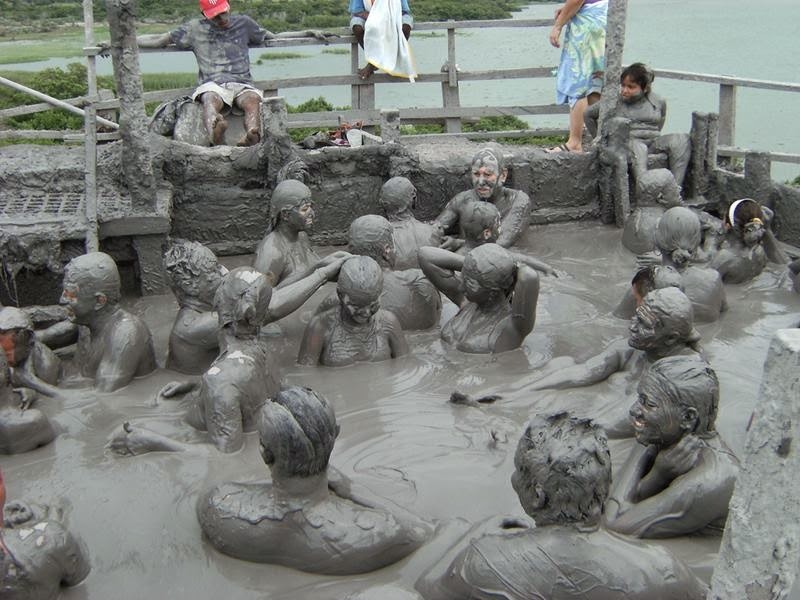 A local tourist destination, popular for its alleged healing mud-bath, it receives most of its visitors from nearby Cartagena. 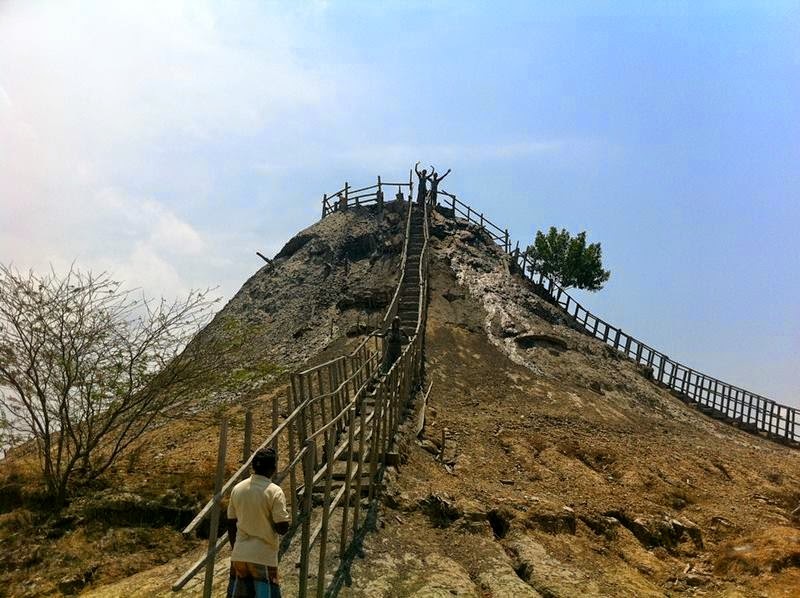 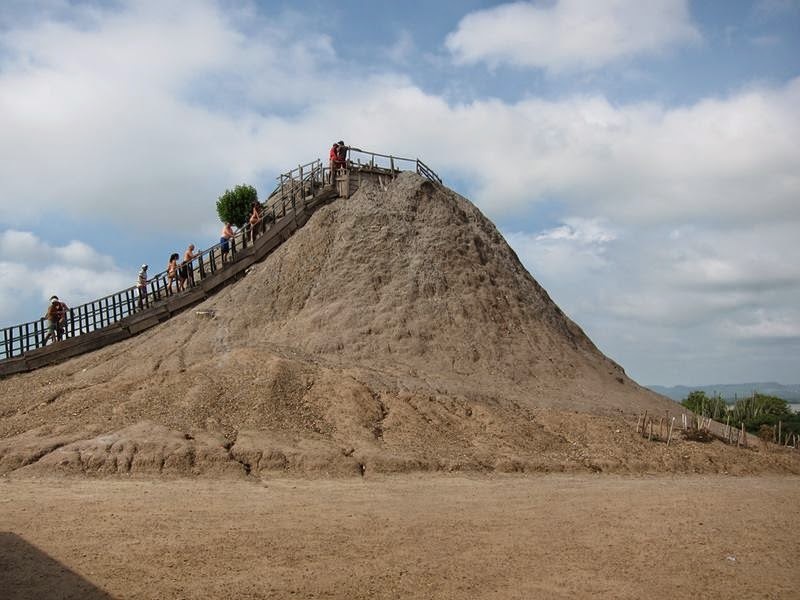 The mound itself raises at about 15 meter and it is serviced by an accessible staircase that leads to the crater, which can accommodate about 10 to 15 people at a time; there, tourists bathe in the dense warm mud and have the option of receiving personal massages from the attendants. 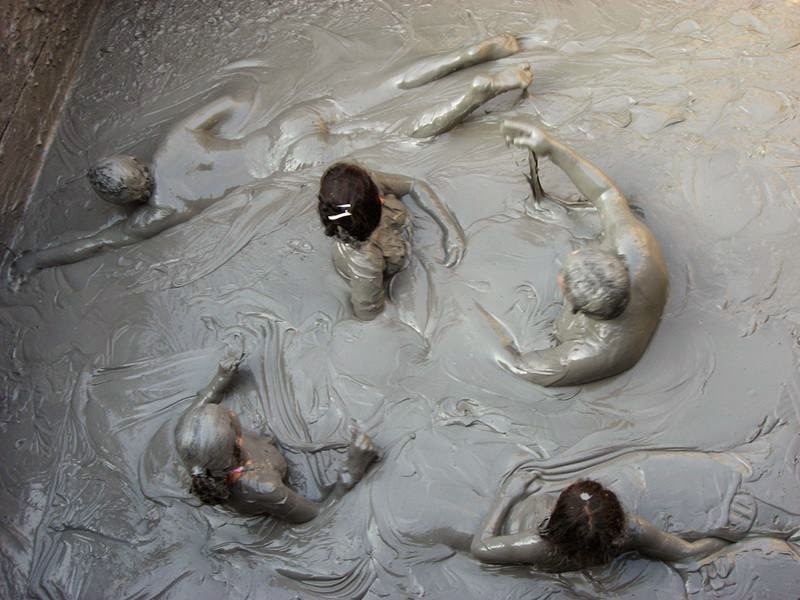 The experience is then followed by a bath to remove the mud in a nearby lagoon.